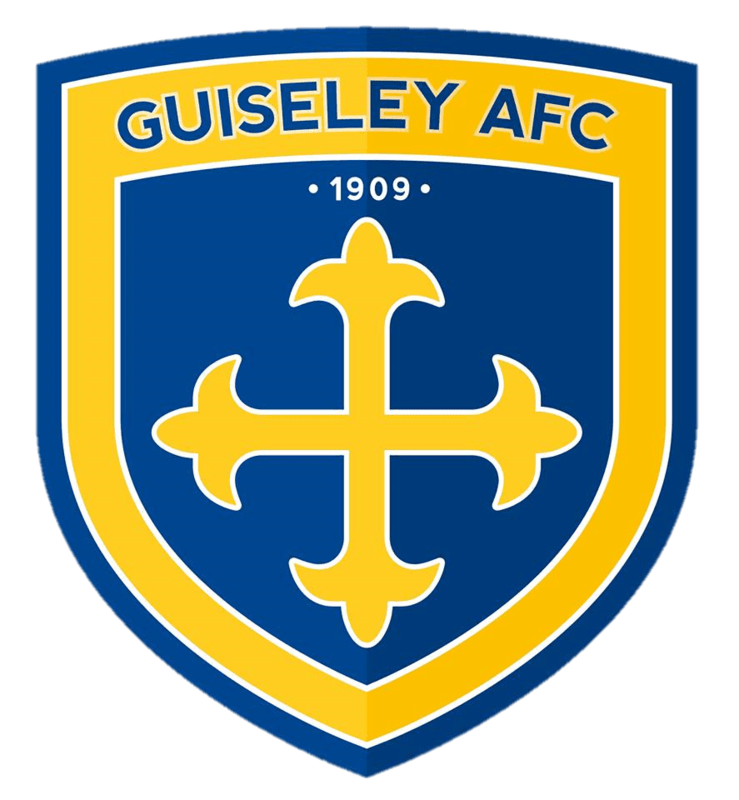 Guiseley and Stockport shared the points at a cold and blustery Nethermoor this afternoon as Darren Stephenson’s 43rd minute goal was cancelled out by George Cantrill’s shot from an acute angle eleven minutes into the second period. The home starting line up included new signing Kennedy Digie while former Lions Ash Palmer and Frank Mulhern started for the opposition. There was some concern even before kick off as Digie disappeared into the dressing room during the warm up with the Physio only to reappear with strappimg on hs thigh up as the teams emerged from the tunnel. Having won their last seven the visitors were straight out of the blocks as Cantrill cleared off the line after just two minutes and the Hatters also had a goal chalked off ten minutes is by an offside flag. With a stiff breeze blowing down the pitch from the car park end the Lions were finding it difficult to get out of their own half but when they did Rowan Liburd fed strike partner Kayode Odejayi own the right channel but his tame shot was straight at County keeper Ben Hinchcliffe. Digie received some lengthy treatment but was able to resume until he limped off in the 40th minute to be replaced by Alex Purver. Will Hatfield fine move but fluffed his lines in pulling his shot well wide of the far post. Having traded blows with the in-form Hatters, the visitors took the lead in fortunate circumstances as Marcus Dewhurst spilled Mulhern’s shot to present Stephenson with the easiest of chances two minutes before the break. Now playing with the wind at their backs the Lionssubjected their opponents to some serious pressure on the restart and were rewarded when a clever ball from Cliff Moyo released Cantrill who motored into the area and beat Hinchcliffe from an acute angle for the equaliser on 56 minutes. Niall Heaton was unlucky to see his header come back off the bar and when Hatfield appeared to be bundled over in the area for what looked like a certain penalty the midfielders only reward was a yellow card for supposed simulation. The same player was then just unable to reach Cantrillsteasing cross to the far post for what would have been a certain goal. The remainder of the half saw some desperate defending from the visitors as, like the Lions in the first half, they were finding it difficult to get out of their own half due to the stiff breeze and when they did Dewhurst wasn’t unduly troubled. Despite five minutes of added time neither side was unable to craft a decisive opening and a draw was probably the right result but the Guiseley management will be buoyed by their teams second half performance as they seek to add to the five point gap that has opened up between Lions and the bottom three, beginning with Tuesday’s trip to Telford.